See scan - very good condition with original heavy gold plating. 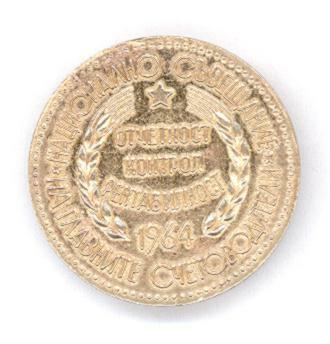 The badge resembles Bulgarian stotinki coins from that time. This is a nice and rare Bulgarian Communist / Socialist era member / participant badge from the 1964 National Congress of Chief (Master) Accountants. Nice collector piece and one of the rare Bulgarian badges.